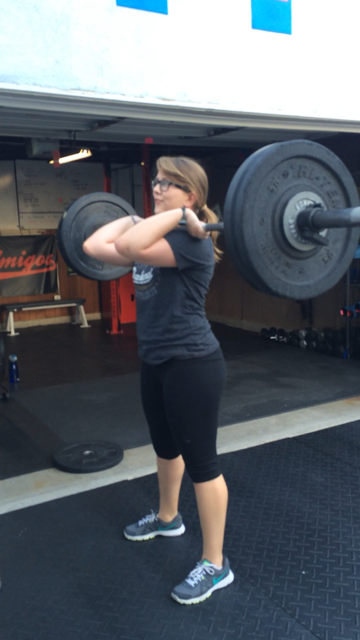 Great job on your 120# clean PR tonight Madeline. Starting this upcoming Monday, May 5th, Los Amigos will be adding another class to give our members another time to get their WOD on and also accommodate our growing gym. On Monday and Wednesday will have a 5pm class along with our current 6pm and 7pm classes.More classes for more fun! We just want to welcome back Fallyn! After taking a short break she’s back getting it done!